Have You Noticed This Neat Thing About The Cowboys’ Rookie Backfield? It’s Pretty Neat. Back on April 27, it looked like Tony Romo and either new signee Alfred Morris or incumbent starter Darren McFadden would represent the starting backfield for Your Dallas Cowboys heading into in the 2016-2017 NFL Season. But then the NFL Draft happened, and then Jerry Jones happened, and the undeniably talented (but not really needed on this roster right now — or so we thought) Zeke Elliott got picked fourth overall out of Ohio State as the Running Back of The Future for the Frisco-based, Arlington-set Cowboys. A full 131 picks later, the ‘boys also chose quarterback Dak Prescott as their Romo of The Distant Future. And then McFadden somehow hurt himself with his iPhone and Romo got “squeeshed” like he always does, and now here we are: The 2016 Opening Day starting backfield for the Dallas Cowboys will be made up of two men under the age of 24, both of whom willingly use single-syllable first-names with the letter “k” in them to represent themselves. 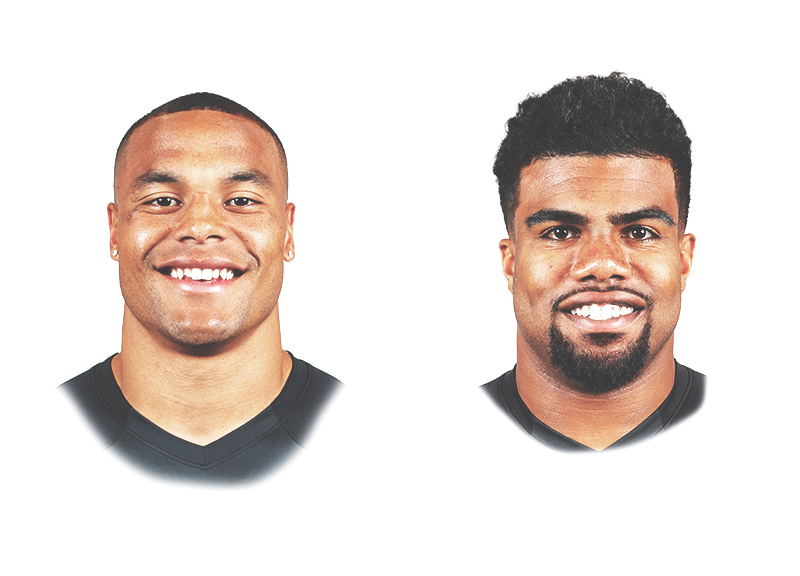 There’s a lot to like about young Zeke and Dak, to be sure. But the burden of being two rookies starting in the backfield in the NFL is surely a heavy one. Or is it? Hey, that’s the main City of Dallas area code! Someone get Dorrough on the line, it’s time to write these guys a song.